Mazda is not like other car companies. It’s held back on making an electric car until execs feel the time is right. 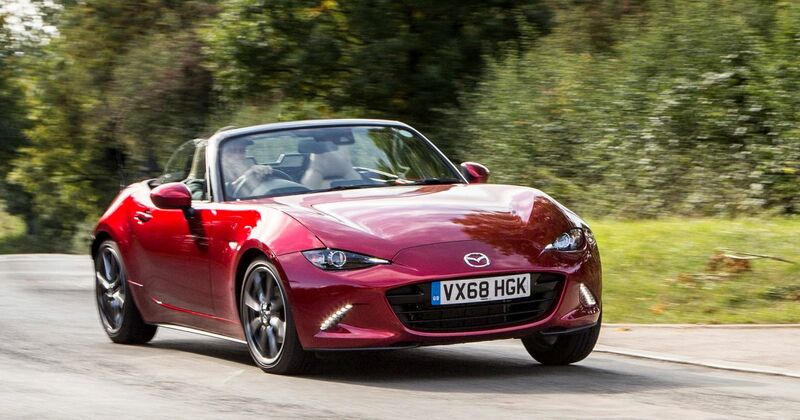 It’s still pushing diesel, and even sells one oil burner with a gasps 2.2-litre engine. It hasn’t bothered with downsized turbocharged petrol engines either, which seems to have worked out very well for the Japanese firm. 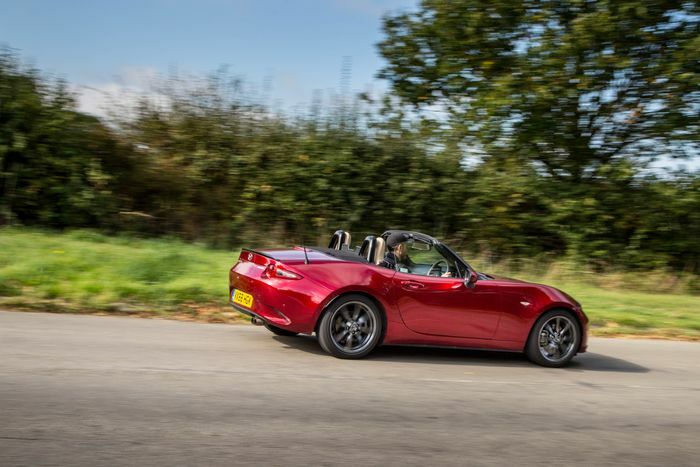 It’s generally the bread and butter products from Mazda that illustrate this best, but the updated ND MX-5 has a sprinkling of this left-field, comparatively old-school thinking too. It’s had a moderate increase in power not through forced induction, but by extensively redesigning the 2.0-litre N/A engine. Inside the four-cylinder lump, you’ll find revised valve spring rates, lighter pistons, lighter connecting rods, and revised crankshaft counterweights. Outside of the block and head, the throttle body and exhaust valve have been enlarged, the muffler switched out for a redesigned part, and there’s a new low-inertia dual mass flywheel. Unless you’re into your geeky engineering details, it’s likely you started to fall asleep during that last paragraph. But allow me to wake you back up by explaining what that means for the driving experience: power is up from 168 to 181bhp - a decent increase for a light car - and that power is now made at 7000rpm. Oh, and the engine revs to 7500rpm, 700 more than before. You’re listening now, aren’t you? And what a joy it is to spin this revitalised engine to seven and a half grand. In the context of modern sports cars it’s a rare treat that brings with it a beautiful induction bark, audible even with the roof and windows down. You really need to be over 5000rpm to have any real forward momentum, but that’s the fun. Turbos make things too easy - what’s wrong with working an engine hard to get the best out of it? It does feel quicker than the outgoing car, too. 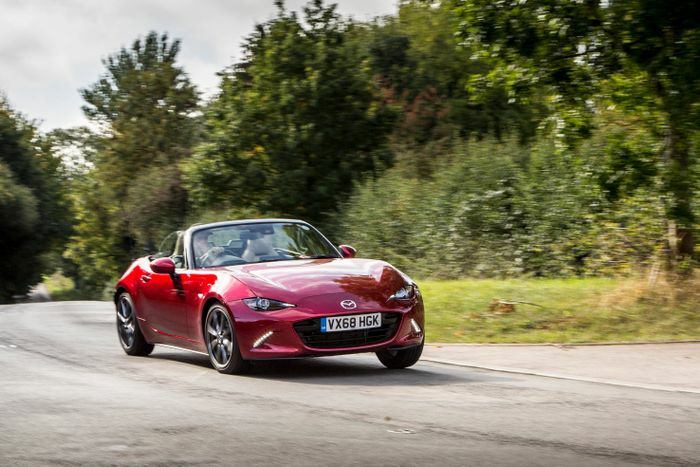 But crucially not too fast - the MX-5 remains a car you can sling down a road, go through a few gears and come out the other side without having hit anti-social speeds. It’s just as responsive and eager as you’d like, making a cheeky blip of the throttle on each downshift a wonderous thing. It helps that the pedal spacing is also damn near perfect for heel-and-toe shenanigans. The only real disappointment is the lack of a ‘hard’ rev limiter to bounce off, but with the peak power mark coming in 500rpm lower, you don’t often find yourself reaching the end of the car’s range anyway. The chassis is unchanged, although that’s no bad thing. I still think it could be slightly lower and slightly stiffer - even the GT Sport Nav example we tried with its Bilstein dampers is quite soft, meaning it does start to feel a little uncomfortable when really pushed. But you learn to appreciate the roll when most other manufacturers are going too far the other way with mega-firm riding sports cars. The steering isn’t as quick as you’d perhaps expect either, which - again - is quite refreshing. It’s a great match for the car - a setup that’s ridiculously darty off-centre just wouldn’t suit the car’s softer attitude. 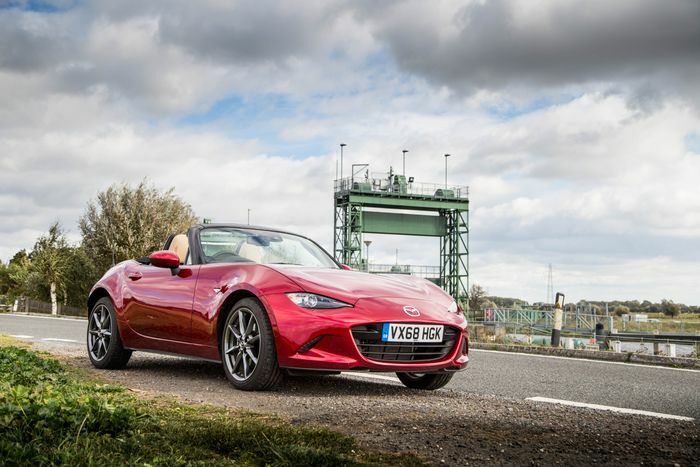 Mazda has also been very careful with grip and traction levels - there’s just about enough to make the car plenty capable, but not so much that pushing the back out isn’t possible with the modest power on offer. The tyres - Bridgestone Potenza S001s - aren’t that wide, and aren’t that sticky. 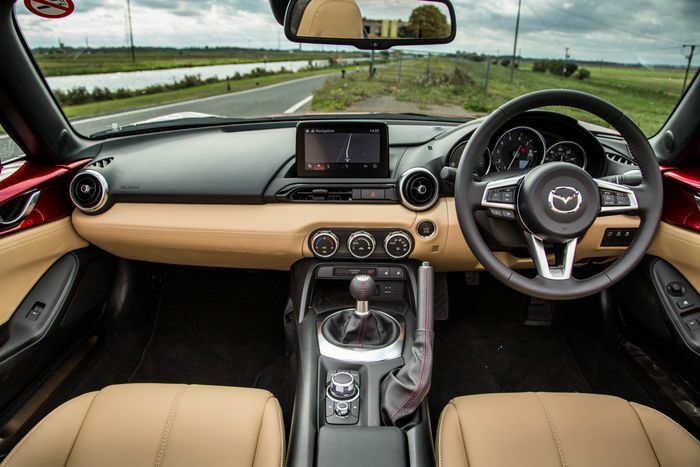 So, the engine is better than ever, the chassis is as sweet as before, and as the final piece of the puzzle, Mazda has added steering reach adjustment, meaning people of all shapes and sizes can, at last, get comfortable behind the wheel. 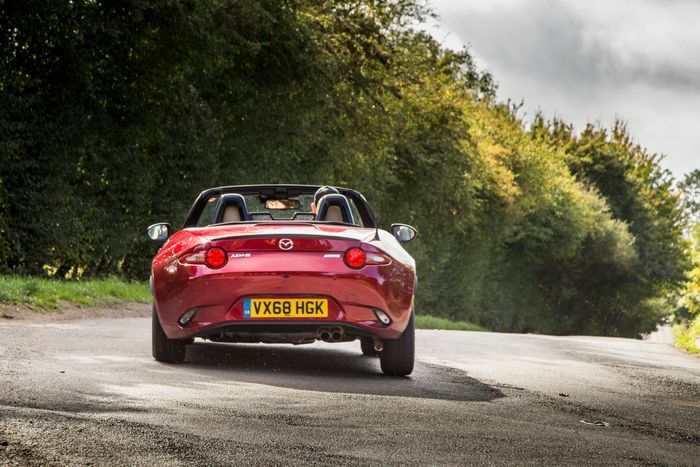 All of this comes together to form what might just be the best stock MX-5 Mazda has ever made. 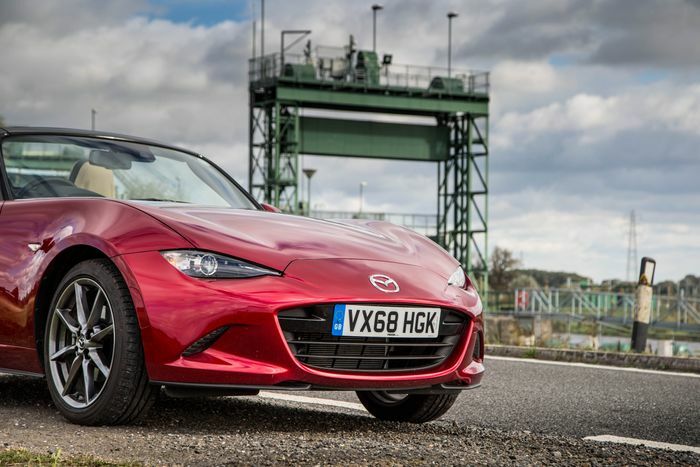 Some view the Miata as a blank canvas upon which to lavish many mods, and I’m partial to a modified ND MX-5. But if I had one of these, I’m not sure I’d change a thing.